Coach training and specializations for professional coaches to become excellent coaches. Coaching is a discipline that allows us to identify the desired results with extreme clarity, to recognize new viewpoints and possibilities of action, and to teach ourselves to think and act following new and effective approaches that produce concrete results. To become a professional coach or to learn the coaching competencies useful for increasing one’s own personal and professional success, it is essential to interact with expert coaches and trainers. Menslab offers training in coaching at the highest level which evolves in different stages, depending on the participant’s aims. All Menslab’s coach training programs are approved by the ICF – the International Coach Federation, the largest world organization for the certification of professional coaches and coach training programs. This is the most complete program, intended for those who want to become excellent coaches and make coaching their main profession, or integrate it into their professional activity. 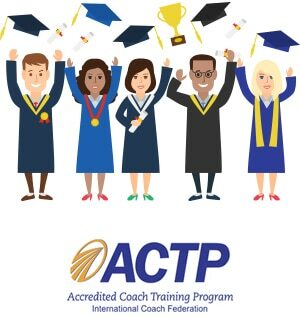 The program is recognized by the ICF – the International Coach Federation – as an ACTP – Accredited Coach Training Program, the highest level of accreditation awarded to training programs. 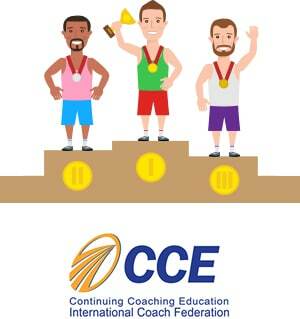 The diploma awarded at the conclusion of the training path is recognized at an international level by the ICF – International Coach Federation – as training and mentor coaching which can be used towards gaining the individual credentials of ACC – Associate Certified Coach – and PCC – Professional Certified Coach. This training program in coaching core competencies, is intended for those who want to begin their own training as professional coaches and for all those who want to bring coaching competencies into their life and work. Coaching fundamentals, in 70 hours of training, opens the way to learning highly successful strategies used to define one’s own objectives with clarity, develop excellent communicative competencies, and define and carry forward those actions which lead to gaining the desired results. The program is recognized by the ICF – International Coach Federation – as ACSTH – Approved Coaching Specific Training Hours. For those who have already completed training in coaching core competencies and wish to move on to the next level, enhancing their own professionalism through the approaches of systemic coaching and linguistic precision. Systemic coaching enables existing relationships between the client and his or her context of reference to be considered. It makes it possible to identify effective strategies for producing concrete results for the client and contributing to context evolution. Linguistic precision is at the foundation of truly effective coaching, in that it allows the formulation of precise questions and observations that open up new perspectives and facilitate personal and professional development. Coaching professional represents an advanced level training course and supplies a number of outstandingly effective tools for enabling results to be achieved for both clients and the coaches themselves. 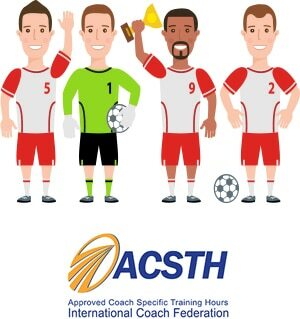 The certification of the program, approved by the ICF – International Coach Federation – as ACSTH – Approved Coaching Specific Training Hours – can be used to apply for or renew individual accreditation. For expert coaches who want to move towards mastery or for professionals who want to deepen specific approaches to coaching, Menslab offers more advanced training paths that present more effective coaching and mentoring methodologies and approaches. The courses of specialization in coaching allow more effective methodologies and approaches to be discovered that make the coaching of great value to clients. In the coaching mastery specialized courses coaches can interact with expert colleagues and take their profession and business to the next level. 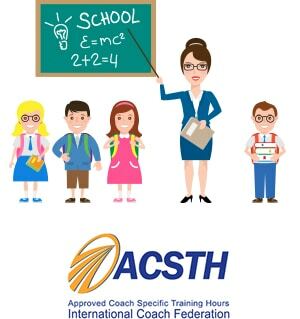 The coaching mastery training courses also enable participants to gain certification that can be used to apply for or renew individual accreditation. Choose to become a professional coach and learn the competencies of coaching to be used to increase your personal and professional success. Fill in the form to contact us: we shall be happy to give you all the information you need to begin your path and gain concrete results.